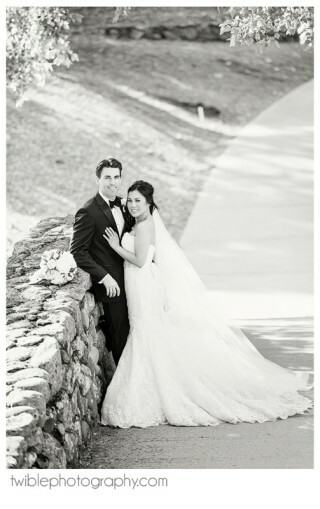 "Hiring Aubrey at Alluring Events and Design was the best decision we made in planning our wedding. She is organized, thoughtful, efficient, and knowledgeable. Our wedding was perfect and exactly what we wanted, and she helped us every step of the way. I can't imagine having done it without her. From the beginning, she made me feel at ease and like everything was under control. Her experience in the industry is a great asset when you suddenly realize how much ACTUALLY goes into planning a wedding. We mostly communicated by email and would have power meetings every few months as needed. I always felt like Aubrey knew what to do and how to do it. The day of our wedding, I worried about basically nothing. Aubrey took care of everything and it went off without any major problems. I felt completely relaxed and at ease knowing that Aubrey (and Brittany) were there to handle everything. Aubrey helped with thematic design, developing a timeline, organizing day-of arrivals and set up of vendors, setting up our tables, day-of coordination, clean up, and tons of little extras like bringing the bridal party lunch on the day of the wedding. Beyond her incredible professional skills, Aubrey is sweet, funny, and easy to communicate with. She is gracious at managing all the personalities that are inevitably involved in such a big and important event (bride included ;). I had absolute trust in her and her team and she never once let me down. You cannot go wrong with Alluring Events & Design. I can't wait for my next big party, I will definitely be a repeat customer for this lovely gem of a business." "I created a Yelp account just so I could review Aubrey, that's how amazing she is. Aubrey came recommended from a friend, who had a similarly wonderful experience with her. I am type A, and Aubrey had the perfect balance of commanding all of the details while remaining calm and collected. When I would get overwhelmed or frustrated, she would pull an Olivia Pope style "it's handled" and I never had to deal with the issue again. She provided suggestions and advice about every aspect of the wedding. On the day of the wedding, I had 1,000 paper cranes to hang around the wedding venue, and Aubrey and her team came up with creative ways to utilize them all. 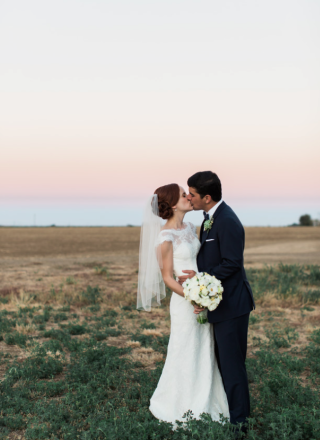 I was particularly impressed with how everything came together the day of the wedding - Aubrey handled all of the coordination so that I could simply enjoy the day. 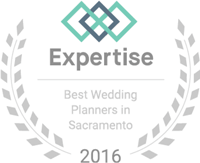 I live in Seattle but had my wedding in Sacramento, and Aubrey was particularly great at helping me plan my wedding remotely. She even scheduled a meeting with me in Seattle while she was on vacation here! That's how attentive she is. I could not have asked for a better wedding planner and I have complete confidence that if you hire her, you will as happy as I am." "Don't get married without a wedding planner! Alluring events and design has several different options to accommodate whatever your needs are. Working with Aubrey is like having a friend guide you through the process who knows everything about everything. Can't recommend them enough!" 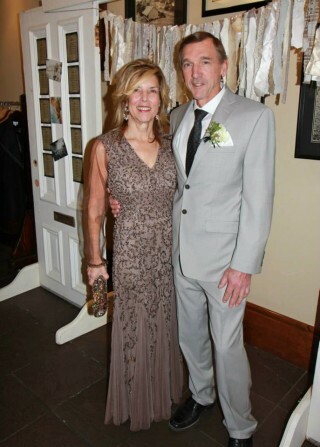 "My now husband Jeff and I were married Saturday. Poor Aubrey was terribly sick and struggled through with her AMAZING girls most of the night. On the plane headed out for our honeymoon the girl behind us (also a newlywed) spent at least 2 hours griping to her husband about the things that had gone wrong during their wedding. Right then I realized how truly blessed I was to get to have such a professional, experienced and amazing team of girls working towards my wedding being the best! It was that same moment that I realized that I didn't have one single complaint and that we owed the perfection of our entire day to the girls at Alluring Events and Design. 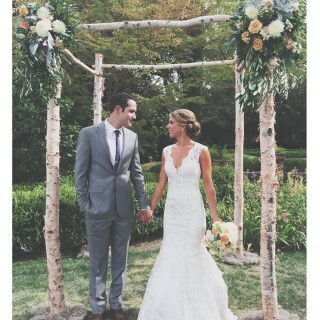 Aubrey helped bring my vision to life and really made sure our day was perfect!!! Thank you so much ladies for everything. From point A to point Z, Jeff and I couldn't have asked for a more perfect day!!! 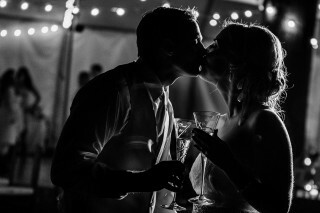 XOXO"
"Brittany Hitch is by far the best wedding planner ever. Her attention to detailed is unmatched. She has made my fiancé and I feel so taken care of through this entire process. Her knowledge is paramount. 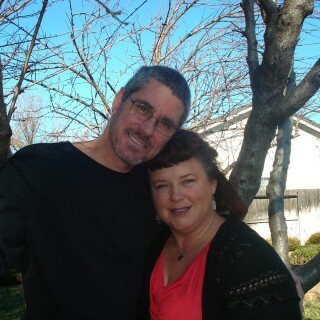 I cannot thank her enough for all she has done and we are still 5 months from our wedding day!" 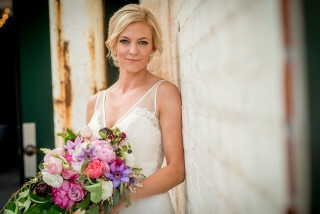 "Aubrey and the whole Alluring team are wedding magic makers! From day one of the planning process Aubrey was incredibly helpful, full of ideas, information, suggestions and tools to help everything run smoothly and create our ideal wedding vision. Aubrey and Sarah flew to Missouri a few days before the wedding and started immediately running around, organizing and putting my mind at ease. The day of my wedding they were working nonstop making everything perfect- I've never seen anything like it. They were the first ones there and the last to leave. Aubrey and the Alluring team is beyond talented, professional, kind and masters of anticipating your needs. Experts on a great party! " 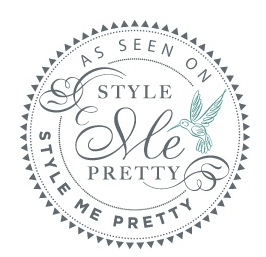 "Aubrey and her team at Alluring Events are simply amazing! 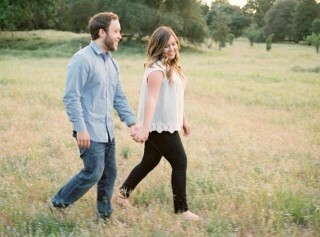 Working with Aubrey was easily the best decision my husband and I made when it came to planning our wedding. First let me give you some background, my husband and I had been together for about seven years when we got engaged - we knew we wanted a simple family wedding, but other than that we knew nothing about planning a wedding! Nothing! We found Aubrey and hired her on for her full service package, and she was with us every step of the way for the year and half we were engaged. Aubrey guided me (yes just me, my husband was not too interested and my family did not live near by) through every detail and decision to make our wedding happen! She was patient with me as I tried to describe my wedding vision, even when the only word I could come up with was "simple." Her knowledge of the wedding industry and connections with other wedding professionals is invaluable. Every suggestion she made and each vendor she recommended was perfection. On our wedding day she handled every detail, remaining calm and organized the entire time. My father (who regularly plans large events) was so impressed by her, he thanked her personally by bringing her up during one of his many speeches. 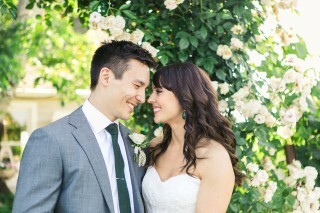 I can honestly say, Aubrey and Alluring Events were responsible for making our wedding day so special! 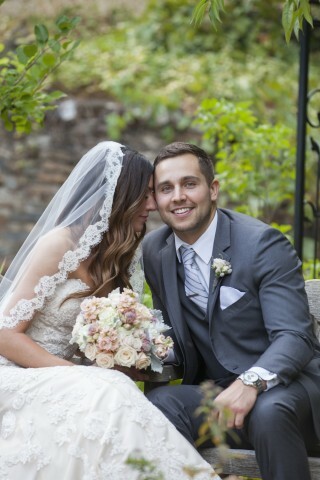 To this day, we get compliments from our friends and family that ours was the best and most beautiful wedding they have ever been too - and I give all credit to Aubrey and Alluring Events!" 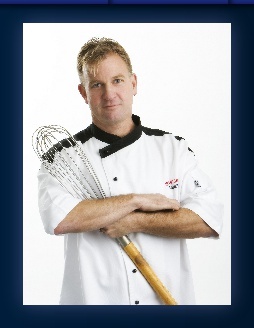 "As a professional caterer, we have experienced working with Alluring Events at several weddings. Aubrey and her whole team has always been such a pleasure to work with. They are very diligent in responding to any questions I may have throughout the planning process. What separates them from the rest is they know when to be firm (as far as executing timelines) and when to be flexible. In all the events we have done with them, there was always a constant communication between her team and ours which is very important to ensure a smooth and flawless event. Their team is well organized and professional so you would be very thrilled if you hired them!" I highly recommend Alluring Events and especially Sarah. 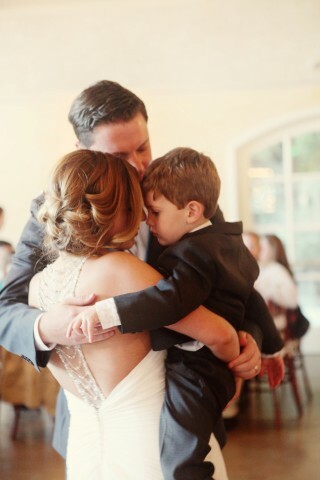 I can't even imagine my wedding without them!" "How do you even begin?! Aubrey and her team are amazing. They're exactly who you want surrounding you as your planning your big day. Aubrey is incredibly organized and professional, but manages to make you feel like you're working with a friend who has your back, shares your vision and wants you to have the best day ever! She was always prompt with emails, calls and questions. She's great with helping you navigate all the decisions you need to make when planning a wedding. It was the perfect day, thanks to the perfect planner. 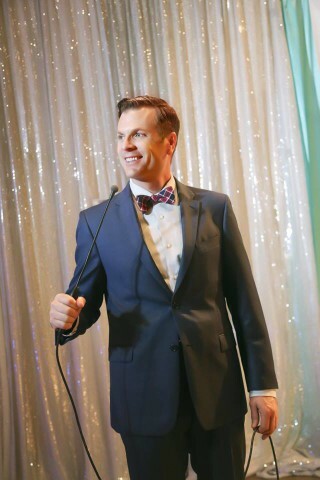 You cannot go wrong in hiring Alluring Events!" 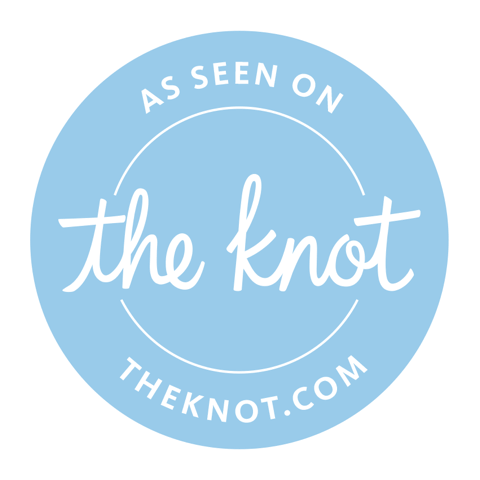 "If you want your wedding to go perfectly, use this company! Specifically, Aubrey White! Aubrey is the most patient, compassionate, organized, positive human being - and she made our wedding run seamlessly and beautifully. She was ALWAYS available via text, email, or phone call for the entire year leading up to our event, she took care of problems before we even noticed them, and she navigated potentially sticky situations with impressive grace and ability. Aubrey made actual magic happen throughout our entire day, to the point that I couldn't believe she was one person. So much had been taken care of with such precision and meticulous attention to detail, that I thought she must have had five more invisible assistants we weren't aware of. You will not regret working with this company - it is the most important investment you will make." 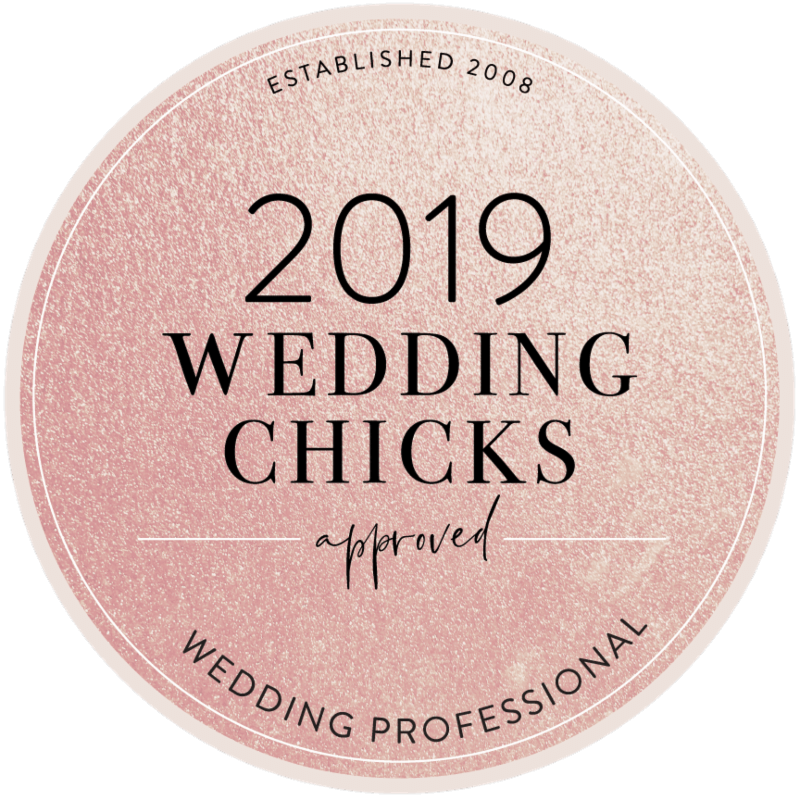 "I knew going into the wedding planning process that I would want to hire a wedding planner to ease some of the stress and nerves. Aubrey was my first choice because she had amazing reviews and I loved her website. I met with her and she made me feel calm about everything! We brought her on for the full-time planning service. Aubrey was also timely and great at returning calls. She even helped me when I was getting a little worried about the end result or process. Communicating with Aubrey was never a problem and even though she is planning many different events, she gives you her full attention 24/7. She has a wonderful network of talented people and we used many of the people from her vendor list. I trusted her resources, but she was also open to working with new people that I wanted. Aubrey helped me review contracts and she knew what to look for if there were any red flags or payment issues. In the end-a planner was a great choice because it can help avoid a lot of serious problems that comes with payments. 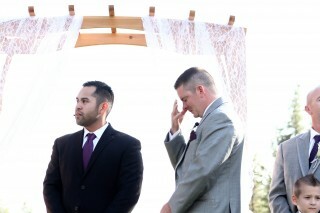 Finally, I was SO HAPPY with my wedding that it was better than anything I could have imagined. She pulled off a beautiful day and everything was flawless. 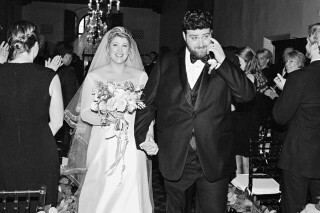 My husband and I look back at our wedding as the best night of our lives and we will always thank Aubrey and her team for providing us with such thoughtful assistance. 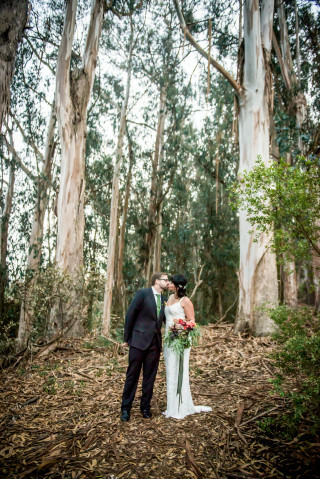 I firmly believe that hiring Aubrey was one the smartest decisions I made as a bride." Big THANK YOU to Aubrey White and Rachele Jae Poplin from Alluring Events and Design. I truly do not know what I would have done without both of them! I had an unfortunate situation where my mother fell very ill. This news came about 3 months before my already planned wedding date in Boston. Due to the circumstances my Husband and I decided to cancel the East Coast wedding and move it up two months and to my hometown of Sacramento so my mother could attend. When Aubrey heard of the news she stepped in without hesitation and took charge. Aubrey and Rachele together coordinated decorations, timelines, communication to vendors, rehearsal, weekly advice leading up to the event, set up, tear down and so much more! It is very clear that Aubrey who owns Alluring Events and Design LOVES what she does and cares more about the Bride and Grooms needs/wants over her own. She was attentive and caring making it comforting to work with her and her team. She listened to everything we had to say and didn't miss a beat on the wedding day. Below are some photos from our special day. I will be forever grateful to Aubrey and Rachele. If you're looking for the best of the best to coordinate your wedding I would strongly recommend Alluring Events and Design. As my daughter and I were planning her wedding for July 10, 2015, a wedding planner was the last thing we thought we wanted or needed. Boy were we wrong!!! After meeting with Brittany Hitch and hiring to do day of services, we quickly realized that it was going to be the best money ever spent! We were able to ask a myriad of questions about ideas, vendors, flow of the day, details, logistics, etc. etc. etc. Each time, the answers were quickly and thoughtfully communicated back to us. We felt like we were completely directed and guided in our decisions, with care and concern about what would be best for my daughter's wedding - to reflect her and her fiancé - not what is the standard or the norm or what was anyone else's vision! Going into our walk through of the wedding day, I had my list of questions to be asked and addressed. As we started our walk through, without my saying one thing, I was crossing each item off, since it was taken care of/thought through by Brittany! 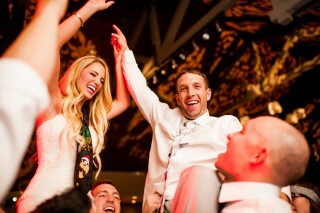 The wedding was relaxed and so joyful - we did not have a care in the world!! 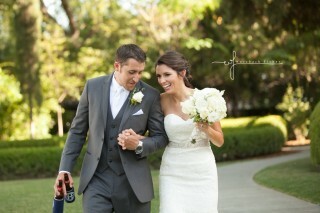 The details were handled and the only thing left for us to do was just to enjoy the day and see it all come together! IT WAS PERFECT! I was married this March 2015 and I was so fortunate to have Aubrey and her team as my wedding planner. Alluring Events and Designs is a must have if you are planning your big day. From the beginning Aubrey was friendly, professional and so helpful. 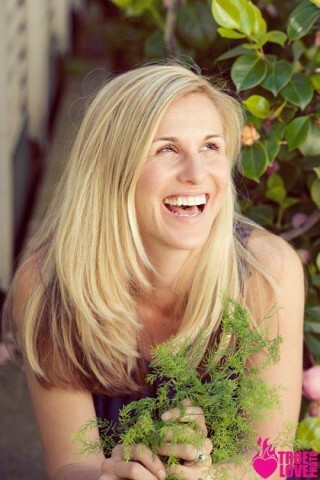 She is very knowledge with the best vendors and venues. 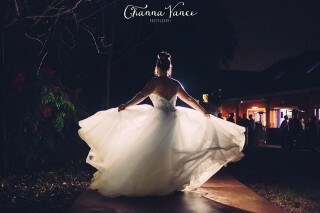 She captured the feel and details I wanted to have on my wedding day without all the stress. She was always there to answer any of my questions and helped me make decision. As many of you know it can be overwhelming and stressful planning a wedding but Aubrey made it enjoyable and stress free. She planned my wedding in five months and was able to make it my dream wedding! I was able to focus on the important things and Aubrey took care of all the details. 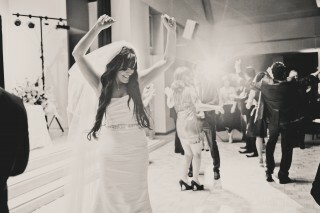 She was amazing the day of my wedding. She did all the set up and took care of all my vendors. She even sent out an itinerary to all my vendors so the day of would go smoothly. I didn't have to worry about contacting my vendors and scheduling times. I was able to sit back, relax and get pampered with my friends by my side without one ounce of stress. 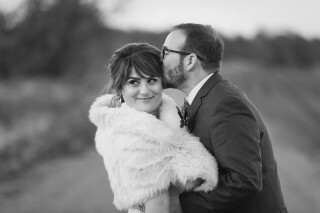 My wedding was beautiful and so much fun. I have Alluring Events and Designs to thank for this. I couldn't have done it without Aubrey White, Kayleigh Abeloe and Sarah Bayer. We will be forever thankful for all the details and time you spent making it our special day. Brittany- What an amazing night and it was awesome working with you. It's amazing to me to see how GREAT you and your team have become, that room was unreal, and everything ran so smoothly, even with all the details and chasing of people around the event! Your communication and direction, while being super flexible and fun, made my evening so much easier! I really hope I get the chance to work with you more, and wish you a great rest of the wedding season!!!" 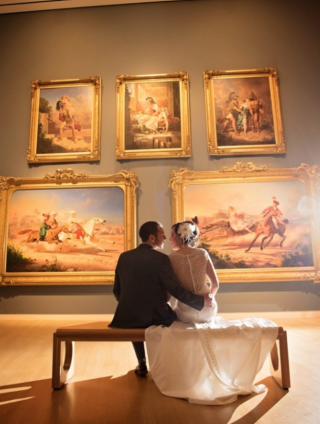 "I met Brittany Hitch a year into planning my wedding and will forever be grateful that I did! Not only did Brittany execute my vision perfectly, she made me feel so incredibly taken care of. During one of the most fun but stressful times of my life, it felt as if I had a very good friend looking after me. Brittany gave me such valuable feedback while planning and took on a lot of the wedding tasks that I couldn't get to. Brittany is a natural at planning weddings because you can tell she loves love. 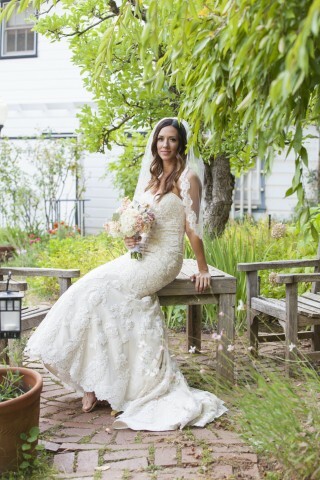 She exudes kindness, classic beauty and timeless romance--everything you want on your big day! If you're contemplating booking Alluring on your big day, stop and just do it! You won't regret it. Thank you Brittany!!!" My wife and I got hitched in October and I can't recommend Kayleigh and Aubrey more to plan and help with a wedding. I did my husbandly duty and was involved with limited things. That's where those two stepped in. They picked up the slack and made sure everything was perfect, which it was. The day was amazing and Aubrey and Kayleigh made sure that it was! Use them!!!!!!!!!!! Oh Brittany!! 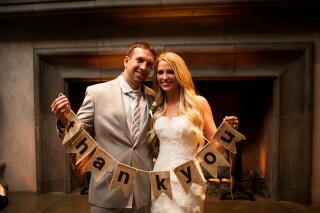 Thank you so much for making mine and Jon's wedding day everything we imagined and more! You helped so much and mad sure Jon and I were calm, happy and able to enjoy such a happy day! I absolutely loved working with you! I cannot speak enough praises for the ladies of Alluring Events and Design. These ladies were so attentive, kind, relaxed and made our wedding day a DREAM. Brittany was beyond helpful during the planning and on the day of the event. Aubrey and Kayleigh were incredibly on it as well, and our whole weekend was a huge success. Thank you thank you ladies for all of your hard work. I was just married in Jan 2015. My experience with Alluring Events was nothing short of extraordinary. I had the opportunity to work with Aubrey White during the consultation and planning process. Her attention to detail, excitement for our wedding day, understanding of my vision, industry expertise, honesty and true professionalism are unparalleled. She took all the stress out of the planning process. I couldn't have been a Bridezilla if I wanted to because I never had to worry about anything!! I appreciated the attention she provided me and her guidance from start to finish. I also had the opportunity to work with Kayleigh Abeloe, Brittany Hitch and Lauren Duffy. I was equally impressed and thankful to have a team like them to work with. 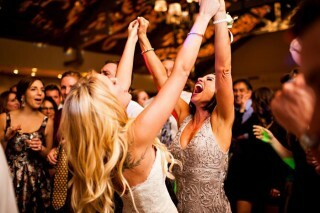 The day of our wedding was executed flawlessly thanks to Aubrey, Brittany and Lauren. The whole Alluring team made our day so perfect and I can't thank them enough! I did the full service package with them and wouldn't change a thing! Thank you, Team Alluring! 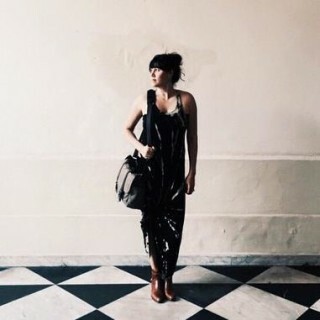 Aubrey White, is the most extraordinary wedding event planner, we were lucky enough to have Aubrey, along with Brittany Hitch, & Lauren Duffy as literally modern day wonder women team you can completely trust. Their excitement, passion, & professionalism was so appreciated by all, your in amazing hands. 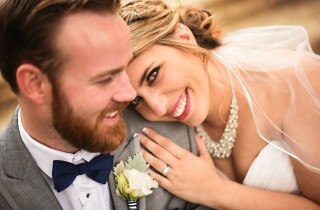 They exceeded our expectations from vendor referrals, flawless execution with lasting memories, our son & daughter-in-law didn't have to worry about a thing, not enough STARS in the sky to rate Alluring Designs they truly have a gift for making all your guests feel like family-seriously love them! Services are invaluable they go above and beyond;). Aubrey and her team are exceptional wedding and event planners! As a floral designer, I've worked with them on several weddings, and they always create the most incredible days for their clients. They are extremely professional, always have things completely under control and work so well with all their vendors. I can't say enough wonderful things about Alluring! My daughter was just married in Jan. of 2015. Aubrey White and her fantastic team did the most amazing job with every single detail from the planning stages through the wedding day!!! I had no idea how wonderful it would be to have a wedding planner and I can say, without a doubt, that Aubrey is the "Cream of the Crop"! 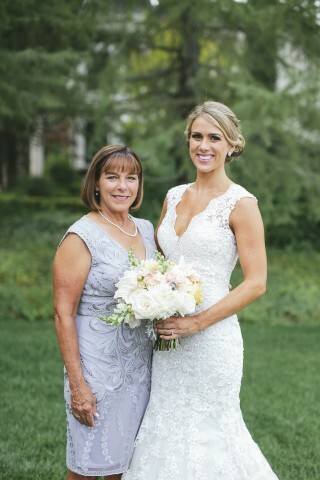 As the mother of the bride, I was able to enjoy all of the planning and, most importantly, the big day without a care in the world knowing Aubrey and her team had things so completely organized. 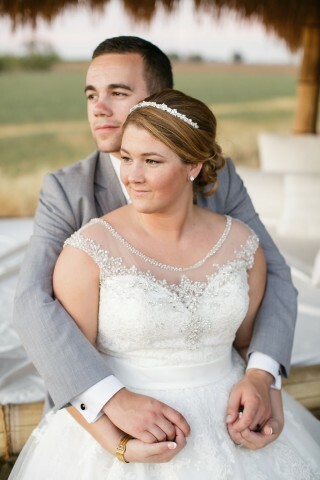 My daughter and her husband had a perfect day from start to finish. They could not have been happier or more relaxed as every detail of the day unfolded. The confidence and professionalism that Aubrey's team displayed was extraordinary. So many guests kept thanking me for, as they stated, "One of the most special and FUN weddings they had ever attended" !!! I, of course, had to give ALL of that CREDIT to my daughter and Aubrey's Team from Alluring Events. 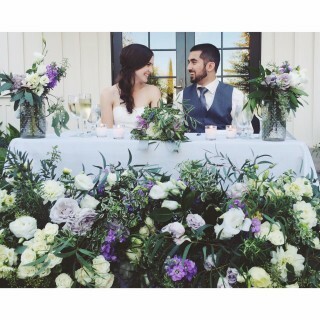 The location, the food, the DJ, the photographer, florist, the stylists, and more could not have been more perfect. The day was executed just as my daughter wished it to be. Thank You Aubrey and Team for all that you do and for making my beautiful Daughter and Son-in-law's "Wedding Day" the most amazing it could be! Brittany.....First off, I’d like to thank you again for all you did this past Saturday to help make Carrie & Jon’s wedding one that they, myself & Judy and all the guests will never forget. Everyone I’ve talked to can’t get over how perfect everything was. In fact…great idea about the sparklers to send them off. Had we not gotten everyone out front, I think some may still be there. Again, thank you for all your help…I couldn’t be happier with how it all turned out. There is just something about Aubrey and her team that you will fall madly in love with. I LOVE working with Alluring Events and Design, they bring a fresh and easy going aspect to a wedding. Aubrey is very organized and just a delight to be around. Great energy and a natural talent for design and planning, she is a seasoned pro. Trust me you will LOVE her ! Where do I begin? First of all, if you think you don't need a wedding planner, think again! Initially, I was skeptical about needing a planner for my daughter's wedding. "Why would she need someone to tell her what to do when she already knows what she wants?" "We are do-it-yourself people, we can do this," I thought. After reading their reviews and meeting with Aubrey and Laura we realized maybe we did need a little help so we hired the Alluring Events and Design team. We immediately went to work and the first thing on the list was to pick a venue. We have a huge, beautiful backyard that once accommodated a party of 200+ people. Perfect! Aubrey very diplomatically told us it probably wouldn't work. Thank you, thank you, thank you Aubrey! You were right, it would not have worked, we could not have squeezed 250 people back there. Aubrey is one of the sweetest people you will ever meet. She has a calm, reassuring disposition, but don't let that fool you. She knows what needs to be done, when, how and who to go to. She is meticulously organized but never gets rattled. She is quick to communicate and kept us on track every step of the way. She efficiently communicated with us and all the vendors and made sure everyone was on the same page at all times. Early on Aubrey assured us that if a problem should arise on the day of the wedding we would never know, because she will just take care of it. I never worried for one minute. The day was absolutely perfect, but I guess we'll never really know for sure. The entire day Aubrey and her team worked tirelessly behind the scenes from morning until night to create a flawless, magical wedding day for my daughter and her new husband. I truly don't know what we would have done without Alluring Events and Design to plan and create such a beautiful wedding day. It has been a joy to get to know Aubrey over the past 10 months and will miss her dearly. Thank you and your amazing ladies for everything. I'm always excited when I know my brides have booked Alluring for their design and planning services for their weddings. Aubrey and her team are always on top of making everything run and look amazing on the wedding day. Makes my job so much easier! You won't be disappointed when working with the ladies of Alluring! Aubrey and her entire team of ladies are AMAZING! I really can't say enough good things about them. Our wedding day was completely stress free, and we were able to enjoy every moment of our day because Aubrey, Sarah, and Brittany took care of EVERYTHING! I have had the good fortune of working with the Alluring Team on a number of wedding occasions, and they are perfect professionals. 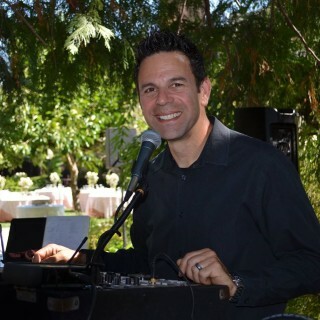 They communcate very well leading up to the event, they are friendly and efficient on wedding day, and because I am a DJ, I find it very refreshing that they allow the vendors on hand to do what they do best. I highly recommend them! 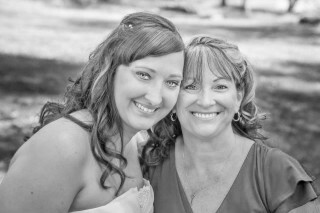 Aubrey white was so helpful and very knowledgeable in planning my daughters wedding. Anything we needed she responded ASAP. My daughter wedding was wonderful. She is very organized. 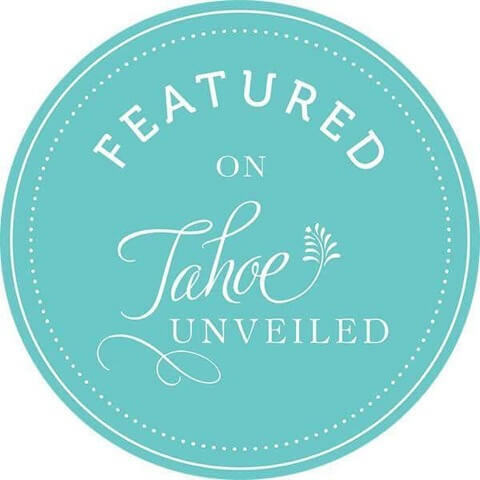 My daughter picked a venue in Tahoe and half way through planning her dad was diagnosed with Pancreatic Cancer and he was not going to be to travel. Aubrey rearranged all the planning and got some of my deposits back. 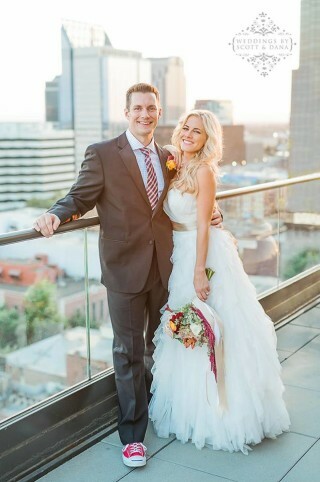 She went above and beyond to make my daughters wedding date a wonderful and most beautiful day. I recommend her any time I hear of a wedding being planned. Brittany, Aubrey and their team are incredibly talented at their job. 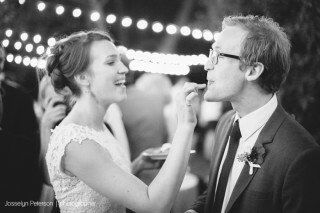 We had the pleasure of having Brittany the day of our wedding, and we literally cannot sing enough praises of her. Every single person she came in contact with told us how amazing she was. She helped make our day so flawless and special. She is so kind, thoughtful and easy going and makes sure that your day is executed exactly as you imagine without a hitch. Thank you thank you thank you Brittany, you are the absolute best. Alluring Events is the way to go without a doubt. If you are on the fence about hiring a wedding coordinator, I would urge you to talk to Aubrey and learn about everything she can provide for you. It was the best money we spent on our wedding. My husband and I were married last weekend. Three weeks before the wedding, after a little mix-up with our wedding venue, we were in need of a day-of coordinator. We were referred to Aubrey at Alluring Events and Design. She jumped in and got up-to-speed immediately and reduced our stress levels exponentially. On the day of my wedding, everyone commented on how relaxed I was. That was in large part due to Aubrey and her team. She took care of everything and if anything went wrong, we didn't know about it and neither did any of our guests. Throughout the course of the 12 hour day, I can remember Aubrey having maybe three questions for me, otherwise she was behind the scenes making everything as perfect as we could have ever imagined, and my groom and I, and our parents, were able to enjoy the day from start to finish. I don't even want to think about what our wedding day would have been like with Aubrey and her team. She is the best. I am writing this letter to express my gratitude to you for our wonderful wedding. When I volunteered to write you a letter of recommendation, it took me a moment (actually a few weeks) to decide if it was possible to express how wonderful our day was in a few words, all because of you and your amazing team. I thought to myself, how could I sum up the perfection, beauty, and organization you brought to our wedding day in one letter? So I will try my best! You entered our wedding planning with a presence that fit perfectly, the moment I met with you I knew I was in good hands. You gracefully helped us with every aspect and more throughout the days to come. You made sure all the little things were perfect and all the perfect things were wonderful. We used the word perfect quite often throughout the process as it even became a running joke by the wedding day, but that’s what it was PERFECT! Each step you and your wedding team took on our wedding day really left an impression. My own father, who was not so keen on the idea of a wedding planner in the beginning was so “Wowed” by you he even mentioned you in the opening speech at dinner. We were very fortunate to have the “most perfect” wedding day. It would not have been the same without you. You were not only exactly what we wanted in a wedding planner; assisting us in finding all of the most perfect vendors, getting us the best deals around and working with our budget you also became a life long friend. The many texts/email, excel documents, glasses of wine (or a dirty martini), and picture messages were so fun and helpful! Thank you again for being a part of our wedding day. We already have you booked for our next big event, a gender revel party! Aubrey White and her team made my wedding day almost entirely stress-free. She was absolutely exceptional, and took care of everything we asked for and them some. My mom and I had a very particular idea of how we wanted the reception site to look - it was being held in our backyard, and we used tons of family heirlooms in the decorating - Aubrey took care of all of it, and the final result was gorgeous. Best of all, she made up a plate of food for my new husband and I to take the the hotel after the getaway - it was so nice! We hardly ate anything that evening and it was so great to enjoy some of the food once we were relaxed. I'd recommend Aubrey to anyone who asks! We got married May 31st, 2013 and Aubrey White was our wedding planner. We were engaged for over a year and she was there to help us every step of the way! There are so many options out there for wedding today that it can get overwhelming fast!. 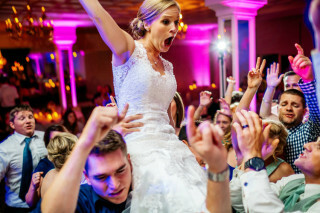 Thanks to her my wedding dreams came true, stress free and easily! Which is very comforting in todays weddings. I have been in and attended many weddings but it is so different with your own. I would have to say from the start I knew she was perfect for us. I threw out ideas that I had seen and liked (not knowing where in the world I would ever get them) and she created an inspiration board. She took all my thoughts and ideas and brought them to life. From there she guided me with almost all my vendors. I liked that she had suggestions and multiple options for vendors and introduced me to what seemed fitting for us. Thanks to all her hard work before hand (like I said engaged for over a year) many questions in emails and text, our wedding was picture perfect. The day of the wedding I was able to sip champagne with my girls, get pampered while everything was getting set up. She double, triple checked everything and since she knew exactly what I wanted it came out exactly how I wanted without me doing much. I would recommend Alluring Events and Design to anyone that is getting married or throwing a special event! Aubrey from Alluring Events and Design is absolutely wonderful. 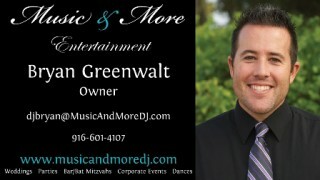 I'm a full time wedding DJ and I have seen the good and the not so good type of wedding planners, and I would refer her to my clients with confidence. Aubrey has a very sweet and pleasant nature. Pre event: Aubrey was very responsive to phone calls and emails leading up to the event. She is clear in her communication which is vital for this DJ to be able to do his job. On to the wedding day: The success of an event, from my perspective, is how well your team of vendors work together. She makes it very easy for me to focus on my performance rather than the mechanics of what's going on behind the scenes. I believe there were 3 people on the AED team working this last event and I even commented to Aubrey how were were spot on to the minute for the timeline, which rarely happens with so many moving parts on a wedding day. Looking back: Pre event details were handled quickly and clearly. The day-of was spot-on and I like an event planner who trusts in her team of professionals. As good as it gets! When my fiancé and I first got engaged we started our event coordinator search. I could not be any happier with anyone else. Alluring Events and Design met and exceeded all of our expectations. Aubrey was able to help my wife and I squeeze our budget to the max. Aubrey shared her expertise with us on everything from how to determine our head count, design and layout, to how to arrange our timeline of the evenings events. 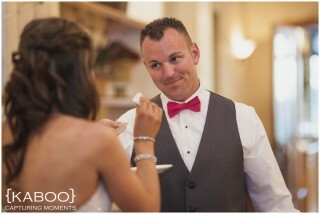 Aubrey's attention to details made sure that nothing was left behind for our destination wedding in North Lake Tahoe. I would highly recommend Alluring Events and Design to anyone who is searching for a stress free and beautiful wedding and plan to use them for all future events. We chose Aubrey to make our dream wedding happen. In only 9 weeks, Aubrey was able to plan a celebration that was nothing we could have ever done on our own. Not only was Aubrey engaging, culturally competent, professional and respectful of our personal needs, time limits and budget, she was ALWAYS available to mediate any conflict at the drop of a hat. Planning the type of wedding we wanted in 9 weeks was ambitious, or “crazy” as our friends like to call it, but Aubrey never made us feel like that. It was all doable in her eyes, and she often took care of our needs before we ever even knew we needed something! Aubrey was incredibly resourceful, and took initiative in all situations, even handling the uncomfortable go-between tasks with family members and the seemingly zillion vendors involved that would have been completely overwhelming otherwise. The most valuable thing we have taken from our experience in hiring a wedding planner is- we got to actually experience our wedding day. 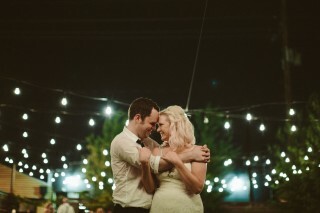 From the rehearsal dinner to our first dance- all we remember is how we looked at each other, and what it felt like to be surrounded by family and friends all supporting and celebrating our union. We never knew what went wrong, we didn’t spend countless hours planning and controlling every detail or waste time putting out the inevitable “fires” and missing the once in a lifetime experience of OUR day. We had the freedom to enjoy our celebration and each other as newly husband and wife. Aubrey handled everything with ease and grace, and incorporated all our desires and needs with a smile. 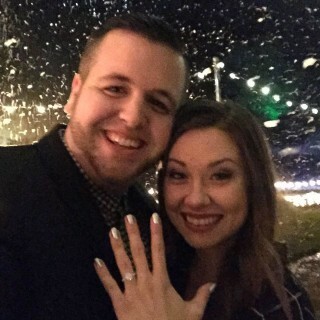 She made such an impact on us, as well as on our family and friends that, to this day, we tell everyone we know who is getting married to budget for a wedding planner as their number one priority. We absolutely believe our wedding would not have been what it was without Aubrey, and for that we feel incredibly lucky and are forever thankful. Aubrey was a great person to work with. I had a lot of ideas and she was very open and willing to offer any help she could! She kept everything at ease and answered any questions I had. She periodically checked in on me throughout the whole planning process to make sure there was nothing I needed from her. I felt completely confident that her planning skills and passion for weddings would make my wedding a dream. She was unable to attend the beginning of the wedding because of prior engagements, so she worked very closely with Kayleigh. I hired Aubrey for my March wedding and I have to say that EVERYTHING was perfect. If there was a problem I didn't know about it and I was free to enjoy my day with my new husband, friends and family. From the beginning Aubrey helped me set a budget, find vendors that suited my style and reminded me of the little details that I would not have thought to ask about or think of. She taught me so much about wedding etiquette and how to approach a difficult situation when we had to cut our guest list. She hired very competent girls to help with day of coordination and set up everything beautifully. After hearing horror stories about other weddings throughout this process I am more than pleased to say that I had the least stressful wedding and I owe it all to Aubrey at Alluring Events and Design. We never had a second thought. 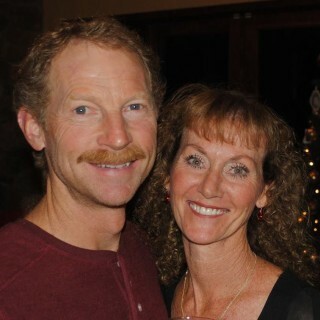 Alluring Events, specifically Aubrey, was the choice for coordinating our very special 25 year vow renewal. Las Vegas was the destination and elegant was the desire. Weddings are the expected, 25 years of bliss being celebrated is special. Aubrey made it look easy. The unexpected crisis was that the Stratosphere's tower broke down. Our venue had to be changed and all of our rentals where stuck in the tower. Aubrey made it work she listened, gathered, coordinated and brought to life my dream celebration. As the bride and wife, I had been locked away to relax and rest while she firmly "fixed" the resort issues to produce the fairytale event I had wanted. Walking through the looking glass that evening was magical. Candle light, crystals, music, tux's and gowns shimmered visually and abstractly. We can't say more, she will be responsible for our next vow renewal, locally or far far away. 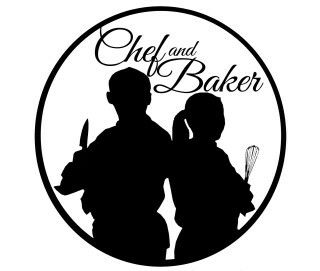 "Giver of genuine happiness, great memories, sooo organized, epic kindness and knowledge of what every wedding planner should be, go to Brittany at Alluring"
We were the caterer for a wedding recently and Aubrey was the event planner. 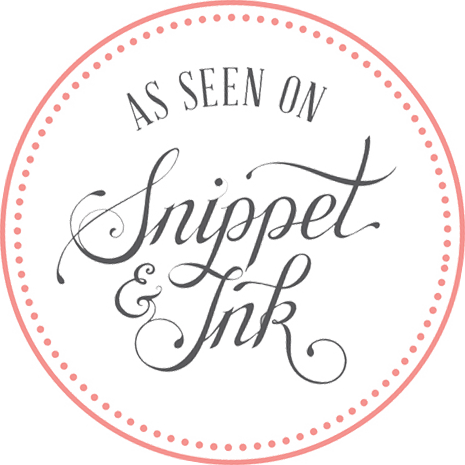 From the day we first met the client through the flawless reception she had the details and vendors all on the same page. The event day Aubrey and her staff were very visible (hot pink fanny sacks) and running the show. I felt as the caterer she was attentive to our needs and timing as well as the venue operators. The wedding families were able to enjoy the day. 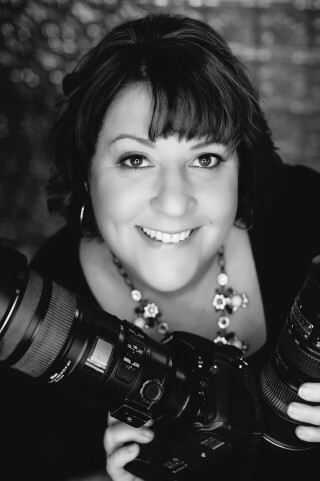 I would be happy to work along side this professional event planner and her staff anytime. Thanks for an successful event.